This is the second Pete Hawley image I have to share. 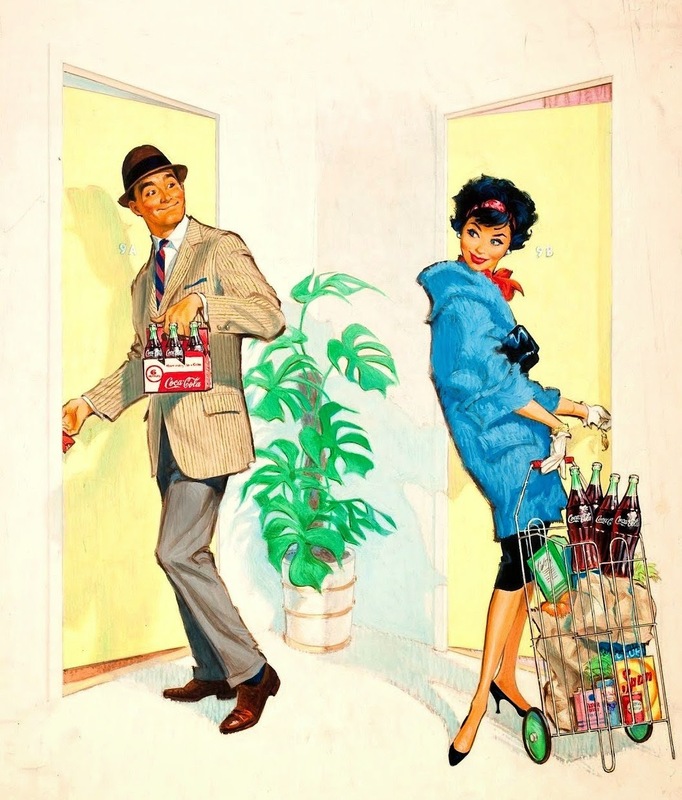 Of his vintage drawings for Coca Cola... and it is just as amazing as the earlier one I posted. I love it! I really think those lower heels are so much more attractive than the ones worn today. Wonderful picture. I got the Coke calendar this year with all vintage advertising.